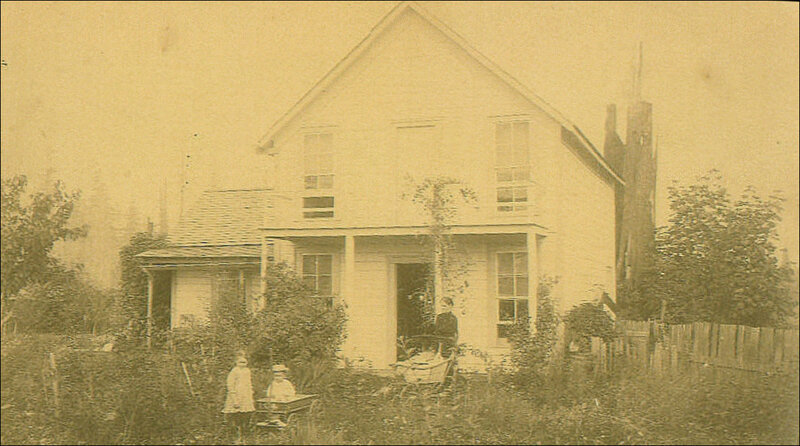 This is an 1888 photo of the first house in what became the town of Lyman in 1887. Henry Cooper moved to the Skagit Valley in the 1870s and built the house in 1883 on land that was subsequently washed away by the Skagit River channel beneath the present bluff at the south end of Lyman. The house was moved north at least once and turned to face the Seattle & Northern railroad tracks, which were laid through town in 1891. Photo courtesy of Buddy Meyers, from the collection of his late parents — Bud Meyers, a grandson of Henry Cooper, and Maxine Meyers, longtime Lyman postmaster. Click on photo to see a larger, more detailed version. Lorenzo Lyman appears to have lived somewhere on Cockreham Island. Sedro-Woolley Courier-Times Sept. 22, 1949 Territorial Daughters held a most interesting discussion Friday when they met at the home of Mrs. [Frank] M. Meyers of Lyman. The question arose as to the naming of that town and diligent inquiry brought out many different remembrances from the long past days. Consensus of opinion is that the name derived from a Dr. Lyman who lived near the Cockreham homestead, now occupied by Ed Cockreham. Little is known of the doctor, except that he came to the vicinity around 1880 and for several years administered to the needs of the settlers. 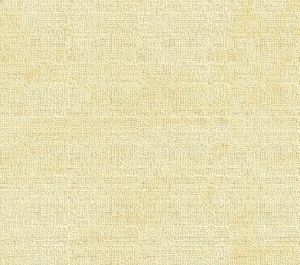 He was a man of medium height, dark completed and wore a beard. It is thought he had seen service during the Civil War. Where or why he left, no one seems to know. At that time, boats were the only means of transportation and landings were at the Cockreham ranch, as there was no town. When established, the town was downriver from the ranch and farther from the river than it is now. Delving into the past and preserving the history of this territory is one of the chief interests of the Territorial Daughters and information pertinent to olden days is always welcome. Attending this pleasant occasion were the Mesdames Alice Robinson, Belle Seidell, Filomene Vogel, Addie McCarty, Olive Fahey, Lexie Sharpe, Nora Hastie, Anna Hoehn, Ethel Harris, Margaret Hinkle, Bertha Davison, Martha Wicker, Sophie Erickson, Eva Beebe, Ella Day, Lenore Devin, Minnie Batey, Mabel Meins, Ruby Taylor, Elizabeth Roughton, Emmilie Duffy, Susie Alverson. Visitors were: Mrs. Maxine Meyers and daughter Marilyn, Mrs. Josephine Robinson and Mrs. Maggie Moore and hostess Mrs. Ettie Meyers. Skagit River Journal research Journal Ed. note: That is a veritable list of the Who's Who of Sedro-Woolley and upriver ladies of that period. In 1922, Bud Meyers's mother, Henrietta Meyers, bought the house that Otto Klement built on the bluff above the river in about 1908. Klement came to the Skagit River area in October 1873 and took over the postmaster duties from Dr. Lyman on Nov. 9, 1881. Henrietta was born April 8, 1888, four months after her father, Henry Cooper, died in Mount Vernon. His place in Montana history was assured when he was selected in 1869 by President Ulysses S. Grant to be the registrar of Montana Territory's land grant office. Such offices were key political appointments in those days, as well as being a path to personal wealth. The obituary states that he opened his law office at the same time. His daughter, Sylvia, was the first settler girl born in the Gallatin Valley. His first wife died and his second wife also died before he did. His son, O.A. Lyman, became an insurance magnate in Portland, Oregon. The former record about Lorenzo being a doctor was supported by two documents. One was the 1949 presentation to the Territorial Daughters group by Henrietta Meyers. Her opinion and memory carried a lot of weight in those days, just a half century after Lyman still stood pretty much in wilderness. Her father's homestead encompassed all of present-day Lyman. She was the mother of the late Bud Meyers, the famed fishing guide of Lyman, and was the grandmother of Charles G. "Bud" Meyers, who now lives on the old family property. How did she make such a mistake? Very easy, we conclude. Note that she described Lorenzo with the words, "Consensus of opinion . . . " and that she was born eight years after Lorenzo appeared and then disappeared the same year. So her knowledge of him was all second and third hand. In addition, perhaps someone showed her the census form at some point. Finally, perhaps by that time Lorenzo had obtained a doctorate of jurisprudence and maybe many people addressed him as doctor when he appeared at official functions. These are the same situations we face with many profiles based on a person's family memory. Many times that personal insight is very valuable; some other times the information is wrong. In a prior update in 2008, we reported that after studying the Federal Census information in various parts of the country, and especially in 1880 in the upriver mining districts, we knew much more about Lorenzo Lyman. In the 1880 district named "Skadget River includes Ruby and mining district," we found Lorenzo B. Lyman: 51, Physician and Surgeon, married, born New York, as were his parents. His location on the census route that June was between John T. Wilbur, who owned a hotel at his brief village of Wilburton, near Hamilton, and Charles Flynn, a farmer who was 29 and single and also lived on Cockreham Island. Flynn later married Mrs. Clara A. (Bartlett) Cooper, the widow of pioneer Henry Cooper. In March 1883, Cooper traded his preemption claim on Cockreham Island for Valentine Adam's preemption claim that would be the base for the growing town of Lyman. From the location of his neighbors, we deduce that Lorenzo Lyman lived on Cockreham Island, too. We checked back to the 1870 Census and found Lorenzo enumerated in Helena, Lewis and Clark County, Montana Territory. No wife is listed, but he was married, with two children, Sylvie R.B. Lyman, 5, and Herschel H. B. Lyman, 3. From further research, we discovered that his wife's name was Mary Lyman. In the 1900 census, he was also recorded in Helena, with his daughter, Sylvia Patrick, living with him, along with her son, Thomas Chase Patrick Jr., 9, and a boarder. Subsequently we discovered that Sylvia had been married to Thomas Chase Patrick Jr. — a general commission merchant in Helena, until he died in 1896. Her late mother's name was Mary Lyman. We discovered that when Lorenzo moved his family west from Wisconsin in 1864, he was a wheat farmer near Bozeman and pretty successful at it. A New Yorker by birth in 1828, he hurried west in 1849 for the gold action in California, returned home and then moved west to Waukesha, Wisconsin, in 1856. Lorenzo returned to his home of Helena after about a year on the Skagit River and there is no sign that family members ever settled in either Skagit County or elsewhere in Washington state. Up until November 2009, we had never discovered Lorenzo's obituary or death details. So the only feats that we know of out here were his presence at the gold camp and the fact that he secured the post office in his name on Aug. 2, 1880. We also did discover that Lorenzo's daughter, Sylvie, was indeed, the first white settler child born in Gallatin Valley. We have not discovered at this point any evidence that he served in the Civil War. We are still curious if he rode up to Whatcom on horseback to complete the post office project in those pre-Skagit County days. We are also investigating to see in which store and in what town or township the post office was located. We also wonder if Dr. Lyman remained in the area until Klement took over the postmaster duties on Nov. 9, 1881, at his trading post on the Cooper homestead — on land that is now under the Skagit River. Perhaps Lyman may have planned to move his family out here and then changed his mind, because the "rush" was very short-lived for the vast majority of miners. We hope that a reader will have more memories, photos or documents about Dr. Lyman and those early days of the town named for him. See the table of contents for Issue 44 for the links to two exclusive photo features about the first decades of the town of Lyman, including photos from the Meyers family collection that have never been published before. Biography of Otto Klement and his memoirs. And be sure to check out Hogtied! Good old boys in 1882 Lyman — Boredom, devil rum, hijinks, greed and frontier humor, from Otto Klement's diary. And his arrival in the Skagit Valley in 1873. The Lyman Tavern fire of 1950. The story of Samuel S. Tingley and Happy Valley/Day Creek, the Mercer Girls and country midwives and doctors.